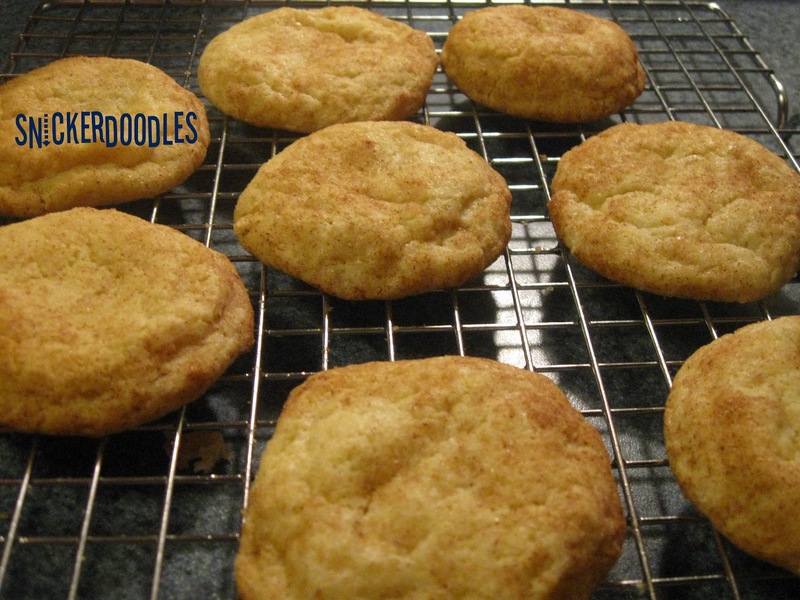 Snickerdoodles are a basic cookie, almost a sugar cookie, but just a little bit more. Growing up they were a favorite with my whole family and we made them a lot. It must be the soft and fluffy inside and the crisp outside that makes everyone love them, and the light cinnamon flavor of course. I haven't made them in what might be a month of Sundays but recently I decided I really had a taste for them. I made them in the evening and the first batch was coming out of the oven in a half hour (maybe a little less). This recipe only makes 18-24 depending on the size of the cookie you scoop (I got 19, but some were a little bigger once I handed the scoop to my husband). So, if you're looking for a warm and pretty quick treat these may be just what you're looking for! Happy Baking! Cream together butter, 3/4 cup sugar, the egg and the vanilla. Blend in the flour, cream of tartar, soda and salt. Shape dough by rounded spoonfuls into balls. Mix the 1 ½ tablespoons sugar and the cinnamon. Roll balls of dough in mixture. Place 2 inches apart on ungreased baking sheets.